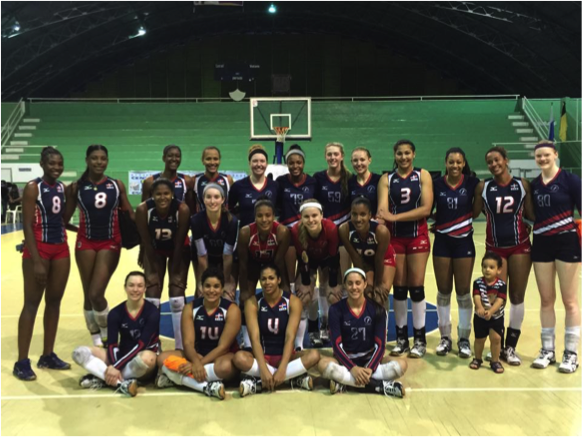 From March 27 to April 3, SportsPerformance Volleyball Club traveled to Santo Domingo, Dominican Republic. As a four year member of SPVB, and a two year member of 18 Elite, I have been provided with three unique opportunities of international competition. Unfortunately this most recent foreign visit is also my last with the volleyball club. Without a doubt I will miss these trips for the rest of my life. I remember jumping for joy after being asked to join the 2013 18 Elite team on their voyage to Japan. In the mountains of Nagano and bustling city of Tokyo, Japan's "Fighting Spirit" was showcased. Each of these girls displayed more fight within their small bodies than I had ever seen before. Fast forward to 2014, I was invited to another international tour. The 2014 tour of the Dominican Republic was an eye opener. I discovered a new level of physicality on the beautiful island. The overall lessons of 2013 and 2014 years are easily identified as "Fighting Spirit" and physicality. However, what was the lesson from 2015's trip to the Dominican Republic? The answer: Toughness. 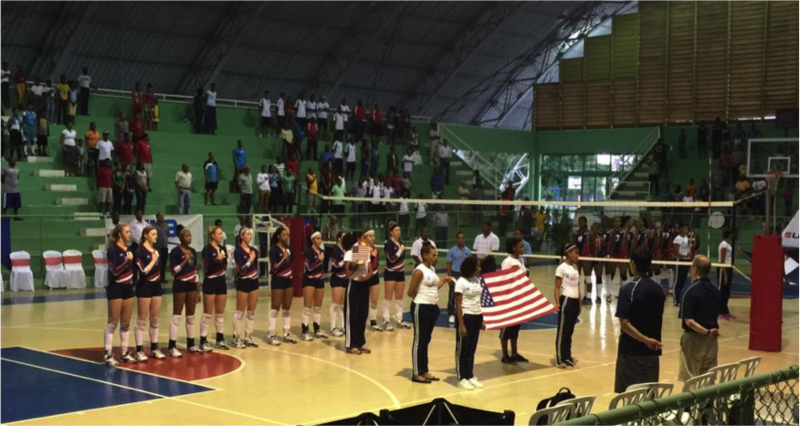 This 'toughness' that Sports Performance 18 Elite witnessed in Santo Domingo, Dominican Republic revolves entirely around the mental aspect of volleyball and not at all around physical roughness. Staying mentally tough throughout long matches allows room for a few, sometimes more, moments of great volleyball to appear within a team. In addition, every great team must unleash their passion come game time, but also control their energy so that energy becomes intensity. This balance of calm energy, intensity, is tricky. Consistently remaining intense is even trickier. "Consistency trumps intensity; all the time. That intensity is born from consistency." It is nice talk of intensity, consistency, good attitudes, positivity... yet the most basic principle is toughness. To become mentally tough everyone has to start somewhere. We started on Day 1. Day 1: March 28Arrive at Hotel BarcelÃ³, Santo Domingo, DR just after 12 am. Sleep. Wake up for late morning practice for about 2 hours. Lunch. Stretching in pool/free time. Play DR U20 team at 4 pm. After a long Friday of airports and layovers, we finally made it to Santo Domingo. With two returning players, Molly Haggerty and myself, and eight newbies, this trip was bound to be full of many harsh lessons. After a few hours of sleep, Elite hit the practice gym for the first time. The climate left every shirt, sock and elbow pad drenched in sweat only half way through practice. By the 1 Â½ hour mark, the sweat towels would eventually cease to soak up any more sweat. Thankfully the gym was only partially enclosed, with the corners open to allow cool breezes to pass through. Towards the back of the gym several more courts and dorms are located behind a dividing wall. Many players live in these dorms and attend school in the mornings, then practice in the afternoons and evenings. A few hours later our team returned to the same gym for our first match. Think of these games as formal scrimmages. No matter win/loss record, 5 sets were always played. All games were played according to international rules. Locals spectated and cheered on for their home-town team. Personally I felt anxious for this match. I knew about this country's style of play from 2014's trip, but also knew how inexperienced the 2015 18 Elite squad was. This first day of game play would set the tone of the trip. I understood our situation. We, the Americans, were the underdogs. Day 2: March 29Wake up about 8. Practice 9-11 am. Lunch/free time. Play DR U20 team at 3 pm. Pool stretching/dinnerTiffany Clark, our libero, and Mark Jones, our assistant coach got food poisoning. Somehow both managed to play through upset stomachs. Mark kept on pushing us harder and harder in drills that kept him sweating. If I didn't see him eat much for meals, I wouldn't have known he was sick. That morning's practice focused on primarily weak individual skills exposed in Day 1's match. This practice regimen remained the norm for the week. Rick Butler, our head coach, Erik Vogt and Mark Jones, our assistants, were able to plan practices specifically for Elite's needs rather than an entire club's practice because we were isolated during this trip. No phones, friends, or parents were available to comfort ourselves. The team learned how to push on as one cohesive unit. As part of this lesson practices looked something like this: Commonly both of our defensive specialists would dig one hundred or more balls in a row before moving onto the next drill. All passers worked in movement drills until hundreds of balls were passed. Our setters received technical coaching, repeated footwork and corrected their hands over and over. Hitters and blockers were given the same treatment and mechanical skills were addressed. Practice came and went. We ate lunch. Elite moved through the motions of 'volleyball boot camp.' If I have a single piece of advice in this whole article: never, ever, go through the motions. That day Elite entered the gym for our second scrimmage against the U20 team. We left without the big win. At this point I began to wake up to the reality of our team. Our talent is more than ample, but something was not clicking. Rick offered this advice, "Focus on the process of getting better today and the rest will take care of itself." This process can be summed in 'making today better than yesterday.' If any athlete focused on becoming better than they were at the beginning of the day, their level of play is exponential. 18 Elite set high goals for ourselves and in order to achieve them we needed to take on this philosophy. Our central goal became maximizing the next morning's practice. Day 3: March 30Short Morning Practice. Lunch/Travel. Play Exhibition match in San Cristobal. It is suffice to say that 18 Elite came ready to go for morning practice. Although practice was shortened to no more than an hour and one half, more productive repetitions were performed that morning than the previous two days combined. The past two days' losses served as motivation. The Dominicans managed to find our weaknesses and zero in on them. Unfortunately our practice time was cut short before we were ready to end such a great atmosphere. Exhausted, or team returned to the hotel for lunch before hopping on a bus to San Cristobal. Upon arrival we noticed that the San Cristobal facilities were very similar to those in the Olympic Training center in Santo Domingo. Again all four corners of an arena had openings to allow a breeze to circulate. The stands began to fill with a band, families, and young children as game time approached. All eyes gazed on to the court as if the Dominican Republic's national team was warming up to play the United States' national team. We were ready and itching for a fight. At this point we played the best volleyball of our season. We barely knew where San Cristobal was located on a map, but I assure you that no 2015 18 Elite member will forget this gym for a long, long time. That afternoon we played a group of girls large enough to form two complete line ups. Their ages ranged from approximately nineteen to thirty years old and averaged around 25. Not only were we aiming to beat much older women, we had to defeat fresh and well rested line ups every set. No greater opportunity had been given to us thus far! Sports Performance stormed out and claimed the first set 25-19. This shining 18 Elite team was not to be taken lightly for the entire night. Every point would become a battle, and every set a war. Faulting on a string of our own errors, the DR claimed sets two and three 21-25, 22-25. Changing gears, many of our players began to display talents and skills previously unused. The defense dug 'impossible' hits. Blockers made reads that forced the Dominicans to hit towards our red-hot defenders. Our setter created 1 on 1 situations and hitters found the floor. It was close, but 18 Elite took the fourth set 25-23. This war was not over. In the fifth set of the exhibition match, 18 Elite stayed strong until a side out to make the score 9, Sports Performance, to 10, Dominican Republic. The pressure to win was on to string together two or three points for the lead. As we had done the whole night, Sport Performance aimed to win and was not afraid of a little risk. Unfortunately some plays were too risky and resulted in \errors. After a hard fight, the final score favored the Dominicans 10-15. After a few minutes, 18 Elite was able to step away from the frustrations of being so close to winning, yet losing. We were cheered up by the fact that we had truly played our some of our best volleyball ever that night. A small reception was held where we were able to meet and talk to the several Dominican players for a while. I had the chance to meet Rosaline, number 12, who is a proud mother of a young boy named Noah. 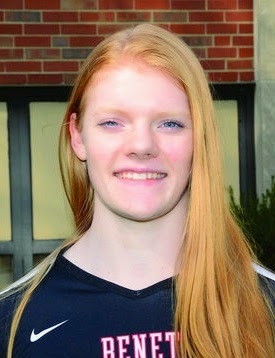 Another player, number 14, almost attended Penn State University on scholarship. Quickly I realized how similar these girls are to us. We all wished for more time to talk to the other players. Locals joined in conversation and asked for pictures. One man asked how much money the Sports Performance athletes are paid to play. I laughed and stated that we pay Mr. Butler, he does not pay the players. Day 4 - 5: March 31 - April 1 The remaining days passed in a blur. Overall practice and competition schedules remained the same throughout the week. 18 Elite was given a precious gift in these few days: an off morning. Utilizing our active rest time, we traveled only a few minutes' drive to a street of tourist shops and vendors in the colonial area of Santo Domingo. In this strip a statue dedicated to Cristopher Columbus stands in a square located adjacent to Cathedral of Santa MarÃ­a la Menor, the oldest church in the Americas. Several of our teammates and coaches did their best to barter with vendors in Spanish. On both sides of the street artwork and beaded jewelry was lined up for display. My favorite shop sold a wonderful drink called chocolate tea. Not hot chocolate, mind you, but a lightly flavored cocoa tea. Just a few hours later our little party ended, and we became volleyball players once again. At the end of Day 5 our team had yet to win a match. We almost always played through to a fifth set, but never had the finishing touch against the Dominicans. The Dominicans were a tough team to beat. The overall intensity of the Dominicans consistently increased past point 20 of each of their games. No matter the situation, once their eyes saw '20' on the score board they went all out. Error percentages in pressure moments were near zero for their program. They were not the slightest bit like any American team we had seen, yet somehow we were able to hang with them until the very last points. Day 6 of game play was upon us. This time we were to scrimmage in the morning so that the Dominican athletes, and Sports Performance, would receive an off day afterwards at the beach. Day 6: April 2All through the previous night and into morning I recall nothing but talk of wanting to beat the Dominicans. I must have lain in bed for almost thirty minutes visualizing myself solo blocking the opposing middles and imagining how great it would feel to win. Again we were slotted to play a mix of older and younger players, consisting mainly of their U23 roster. I knew that in this game I would need to take chances and make moves I never accomplished before in order for us to win. Walking up to the court, I was ready. It was go time. Just like the exhibition match on day 3, we battled and battled until the last whistle was blown. For the final time, Sports Performance 18 Elite was ousted by the Dominican Republic. For 6 days, our team managed to play consistently inconsistent in pressure moments. Sports Performance never went to the beach that day. Instead the 18 Elite players, not coaches, had agreed the night before to skip the beach and utilize every moment we could for volleyball. 'If we came to play volleyball, then my god we will play volleyball,' was the overwhelming cry. The Dominicans did an excellent job pushing our team to the edge so that our weaknesses were exposed. Now that we had a running list of skills to improve upon, Elite aimed to "be better than yesterday." Every second of training mattered to us. The week's game play left us without a winning record, but during each scrimmage every player had countless opportunities to learn from our superior opponent. It looked like Sports Performance had finally taken a tiny baby step forward towards mental toughness. By taking the positives in a seemingly negative situation, we discovered just how much we actually did improve the past 6 days. Improvements made created little victories for the team to celebrate together. We left the practice gym for the final time taking into account all these little steps forward. Although small, this step might end up changing a single would-be passing error into a playable ball. I could not have asked for a better way to spend my spring break. I learned that consistency is a prerequisite to intensity. Before consistency comes toughness. I need to remember, however, that sometimes it is better for two teammates to supports each other rather than have two individuals try to 'tough it out alone.' This way, an entire team moves down a tough path towards greatness together. It is with deep gratitude that we express our appreciation to Mr. CristÃ³bal Marte Hoffiz, NORCECA's president, who served as our host through the entire trip. From meeting us at the hotel and immediately providing our team with food before bed, and until our departure, Mr. Hoffiz was more than generous and attended to every detail. Our trip is entirely thanks to him and his organization. On behalf of the entire Sports Performance Volleyball program, I thank him for his gracious hospitality and wish him the best of luck until our teams meets again. 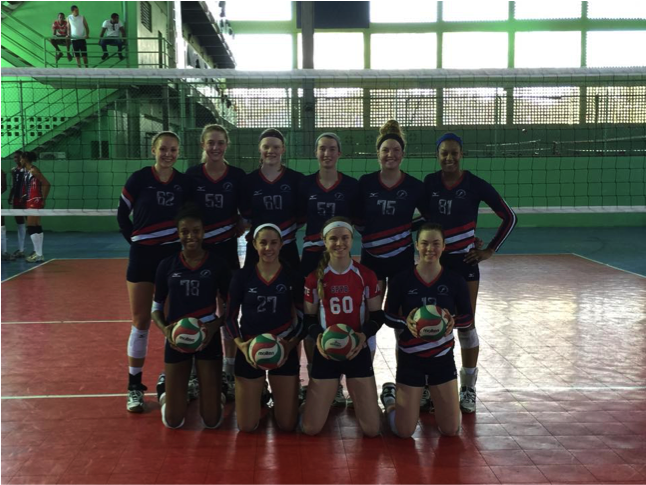 Sports Performance Volleyball Club (Chicago, IL) is a member of the JVA, and shares the goal of improving junior volleyball for players, coaches, and the clubs. If you are interested in learning more about the JVA visit www.jvaonline.org.